ONS 2018, Stavanger, Norway, 27th August 2018 – Seadrill has selected Kongsberg Maritime to deliver real-time monitoring systems that will enhance operability in the shallow water harsh environment operations planned for the West Hercules and West Phoenix semi-submersibles. The technology will enable more integrated and remote operations, enabling migration of expertise fromoffshore to onshore facilities by digitalising assets, personnel workflows and processes, and integrating service operators across disciplines. Through the integration of the field-proven KONGSBERG Riser Management System and the KONGSBERG Information Management System, the delivery will significantly enhance operational availability and efficiency in harsh environments by providing real-time data acquisition, analysis, monitoring, and a holistic advisory system, which can assist crews to optimise the drilling facility and thereby reduce non-productive time (NPT) for more profitable operation. The solution will enable drilling in more severe weather and wave conditions than would otherwise be possible – within the structural limits of the platform and specified load limits for the wellhead systems, and with adequate margins to accommodate environmental peak loads and possible incident loads. The system shall also be suitable for tracking of fatigue damage development of the wellhead system during drilling, based on the measured variable wellhead loads and specified fatigue resistance of the wellhead. Additionally, crew will receive guidance on how to position the rig relative to the wellhead, maximising operability and safety margins in normal drilling and extreme/survival conditions. Kongsberg Maritime will also introduce a unique new electronic Well Specific Operational Guidelines (eWSOG) feature designed to further reduce downtime caused by over-conservative paper-based guidelines required for dynamically positioned rigs. 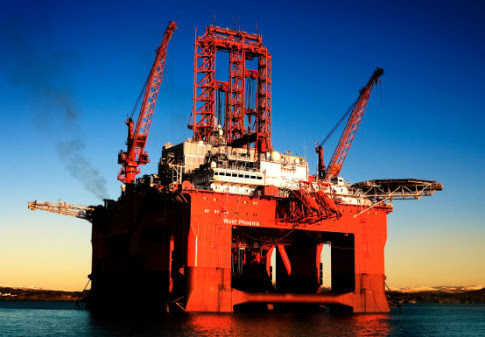 Additionally, by integrating across rig operations it is possible to build a live ‘eWSOG' that considers the technical operative environment and parameters effecting the operation in both real-time and over a future time period. The result is a real-time and predictive solution that creates a dynamic view of the safe operating window, which can be used as advisory feedback to operations.